Suburban Winnetka is marking 50 years since Dr. Martin Luther King Jr. spoke in northern suburb Sunday. WINNETKA, Ill. (WLS) -- Suburban Winnetka is marking 50 years since Dr. Martin Luther King Jr. spoke in northern suburb Sunday. 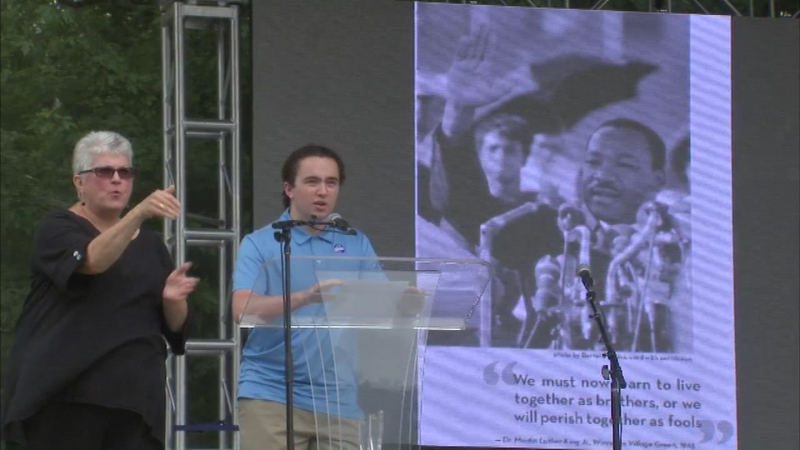 The family festival at Winnetka Village Green celebrates what is now known as "Justice Day." It's an event to remember Dr. King's speech to end housing discrimination. Speakers say we've come a long way since 1965, but still have a long way to go. Hillary Shelton of the NAACP and Father Michael Pfleger were both keynote speakers.